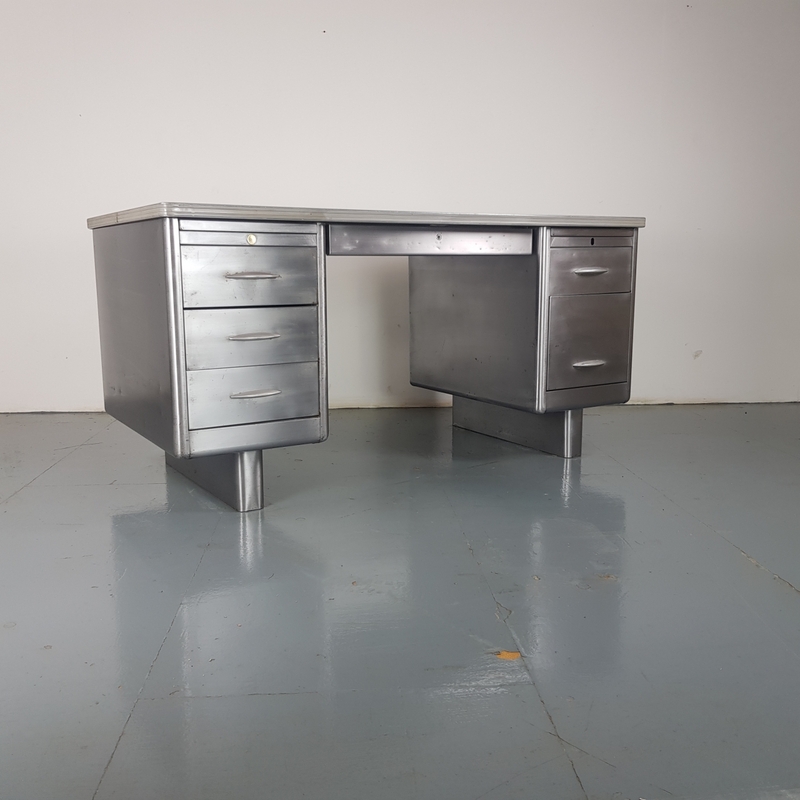 Lovely vintage double pedestal polished steel desk. In good vintage condition - this piece comes from a working industrial environment and as such, has signs of wear and tear commensurate with age i.e bumps, scuffs etc, all adding to the character of the piece. The drawer insides retain their original paint.